Other sessions throughout the day included Dr David Chee, Consultant Psychiatrist, whose popular topic. "ADHD Medications Demystified" discussed the different types, aspects strengths and weaknesses of ADHD medications, including the latest developments on long-acting medications and the challenges of securing the correct treatment without access to private healthcare. Another session saw Jeroen Decartes, Clinical Psychologist, talk about "Asperger’s and ADHD", running through details of symptoms and treatment strategies including his Temperature of Communication Scale for those with challenges that are found in both conditions. Dr Amanda Mullins, MAPS, FCCLP, Doctor of Clinical Psychology also ran another popular, highly informative session about "Emotional Regulation and ADHD" including strategies for individuals on managing the influence of emotional arousal on thoughts and behaviours and 'big' emotions. Dr Alison Poulton focused on the mental effort and reward imbalances in those with ADHD, including an overview of the neurological differences in the ADHD brain. 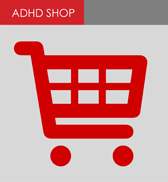 Oppositional Defiant Disorder (ODD) which often accompanies ADHD can make diagnosis and treatment more challenging. Carol Martyn AKA Dr DeClutter provided clarity on the difference between hoarding, clutter and mess and debunked some of the myths surrounding ADHD struggles with organisation. The suggestion that all those diagnosed with ADHD are disorganised in every area of their lives is often not the case. Over the coming weeks ADDults with ADHD will be providing further insight into all the topics discussed at the ADHD Annual Conference, including interviews with all of the experts who presented at the conference.